If you read my last article on craniosacral therapy, you’ll know that at the age of 19, I was taken to the hospital by my aunt – a registered nurse – after exhibiting alarming symptoms. I woke up that morning and tried to find my alarm clock across the room. I was unable to focus my eyes. I felt pressure, but no pain. Hoping to sleep it off and not thinking much of it at the time, I went back to bed. Two hours later, I awoke with severe pressure behind my eyes; my eyes were crossed and I couldn’t uncross them. I literally crawled out of my bed and down the stairs with tears pouring down my face. I have this vague memory of crying to my younger sister, who was desperately trying to get a hold of my parents, about how no one would ever love me if my eyes stay crossed like this forever. #Priorities. Eventually my sister called my aunt who rushed me to the ER where I was admitted almost immediately. 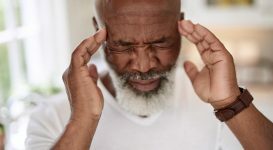 As someone who was suffering from migraines on a fairly regular basis at that point, I knew that what I was experiencing was far different from the aura-filled, nausea-inducing migraines I was used to. I was put into a bed and after performing several neurological exams the ER doctor told me I was exhibiting signs of a minor stroke. 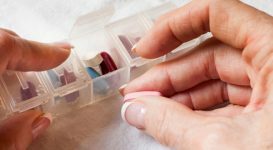 I had been on a new kind of oral contraceptive pill for five days at this point, which, according to the doctor, combined with being prone to migraines with aura, was a recipe for disaster. 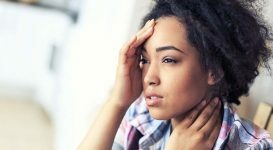 Young female migraine sufferers who experience partial loss of vision during a migraine attack have a 25% increase in stroke risk over women who don’t have migraines. 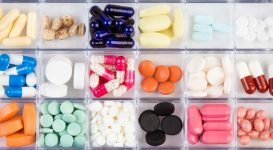 That, combined with the increased risk of stroke by 24% for women who take oral contraceptive pills or other hormonal forms of birth control, basically meant my chances of having a stroke lay in the hands of a coin toss. So why are young, female migraine sufferers at a greater risk of suffering from a stroke than non-migraine sufferers? 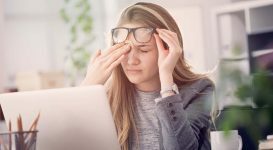 You might also like...Could Vision Loss Mean Retinal Migraine? Let’s start with the basics. The sad truth is that doctors don’t really know why they’re related, just that they are. A stroke occurs when part of the brain is deprived of blood. While there are two different kinds of stroke, only one is suggested to be linked to migraines. The first kind of stroke is referred to as a ‘haemorrhagic stroke’ – which, as the name suggests – occurs when a damaged artery bleeds into nearby tissue. This type of stroke has no relationship with migraines. The second kind of stroke is called an ‘ischaemic stroke’ and is exacerbated by birth control pills, smoking, and – you guessed it! – migraines. ‘Ischaemic’ means a reduced blood and oxygen supply, typically due to a clot. Next page: differentiating between migraine and stroke, and tips for stroke prevention.